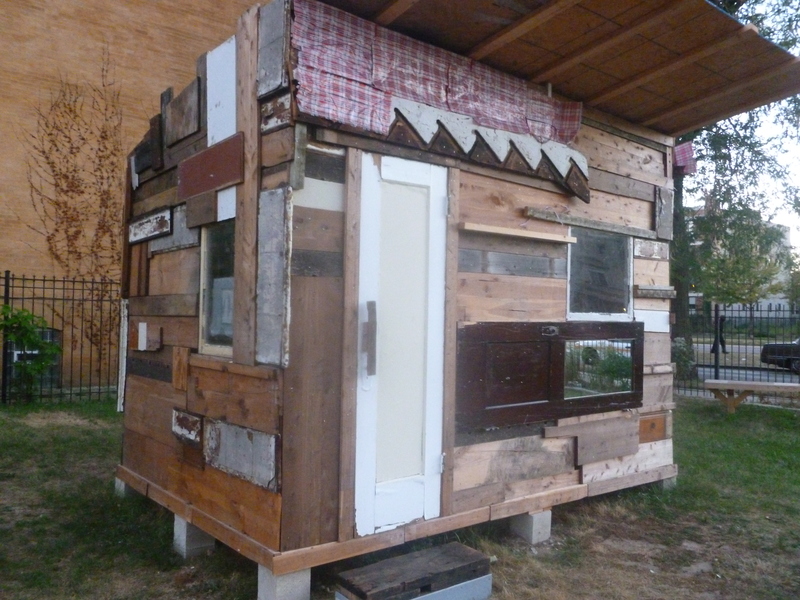 From September 9, 2013 to September 30, 2013 my installation “End of Plastic” will be in Faheem Majeed’s Shack and Shanties at the Sacred Keepers Youth Garden. With this series I look at how people utilize plastic for entertainment and convenience. As art, the plastic in this work has a value for its creation through me as the artist, otherwise it is something that is thrown away. 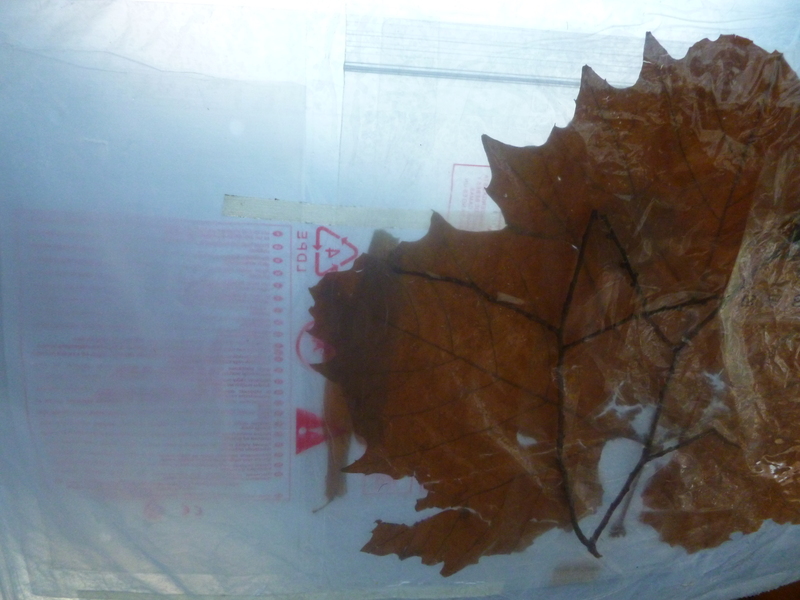 I enclosed leaves and seed pods as contrast to the plastic packaging materials and as I creating them I felt I was blocking the natural process of compost for these materials, thus giving weight to the idea of how much waste is created for pleasure. 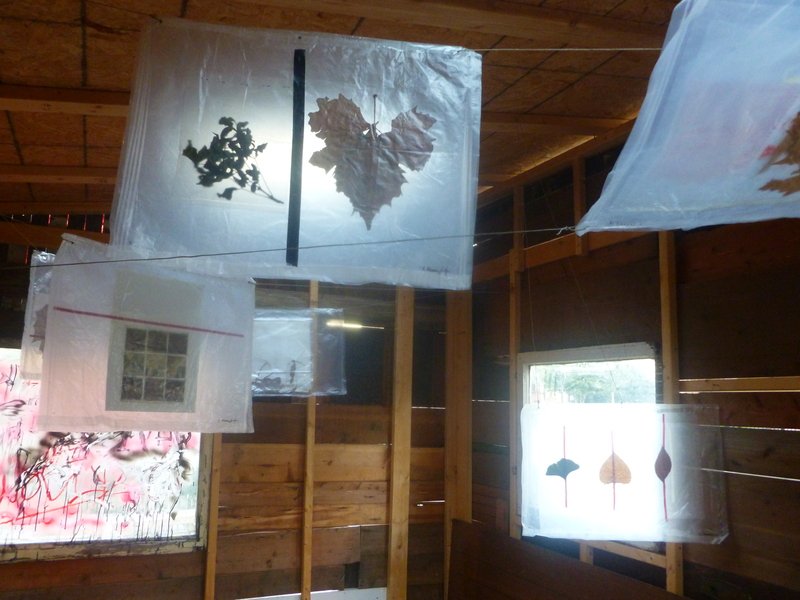 Here I reverse the idea and create art to provoke literacy in Sustainability. Some of the process for creating Plastic has petroleum, natural gas, Bisphenol-A,, Phthalates, Lead, Cadmium, and many more toxic chemicals that effect the soil, ground water, and air witch effects us. A majority of plastics are not biodegradable. With the convenience of packaging, signs, electronics etc. the loss of natural resources is over looked for easy excess to our everyday living. Think of living for one week without plastic and you will see how dependent we are on it. On September 21, 2013 at 2:30 p.m. there will be an open discussion on Sustainability and Art with myself and guest speakers. Location: If it is warm weather the Sacred Keepers Youth Garden 48th and M.L. King Dr. on the South East corner. 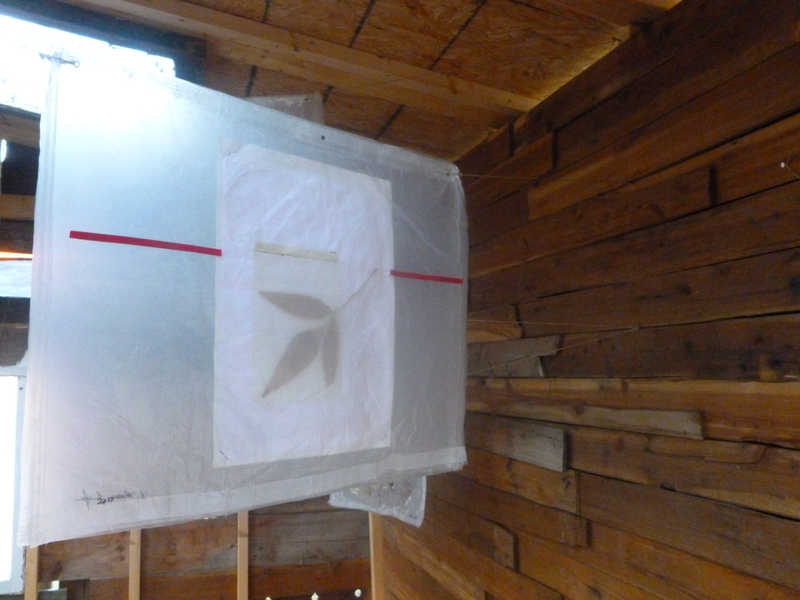 If cold weather: at the Sacred Keepers Sustainability Lab 4445 S. M.L. King Dr. Entrance on the side in the Parking lot. ( 4 blocks North from the Garden).